Sure, granite might be a popular countertop material, but there is no doubt that marble countertops Dallas are becoming a thing. In fact, lots of homeowners are choosing the latter over the former. You see, there is a lot of reason why it is ideal to install marble countertops. From its elegance to durability, you can definitely get your money’s worth. If it is your first time considering marble as your kitchen or bathroom countertop, then you have come to the right place. Think of this article as your golden ticket to knowing everything about this beautiful countertop material. Believe it or not, premium-grade marbles are dense and relatively nonporous—which makes them durable and stain-resistant. When it comes to selecting kitchen or bathroom countertops, classic marble remains the top choice for many homeowners. It is no surprise that these countertops are so popular—the material has been attracting fans for millennia. It is a natural material with great variety, depending on which species you select and how it is cut. Ultimately, it creates a really lovely natural pattern, which you do not get with a lot of artificial materials. You will not find anything as white in nature as white marble. You just do not get that color and kind of figuring in any other type of natural stone. Although many people automatically think of creamy, white stone when they think of marble, there are hundreds of varieties out there. This includes, but not limited, to taupe, green, gold, red, and black. For marble kitchen countertops, however, it might be best to stick with white. Because acid etching leaves a whitish mark, it is much more noticeable on colored marble than on white marble. While you can always put a thousand caveats on any dark marble or nonwhite marble being used for kitchen or bathroom countertops, it is still a personal choice. Every stone slab is slightly different, so it is ideal to select the exact pieces of stone that will be used for your countertops. Mind you, there is an art to marble—selecting the slabs and understanding where the veining is going to be located on the countertop. You want to artfully place the markings so that it is almost like a painting. At the same time, it is important to consider how different pieces come together. The longer the piece you can get without any seams, the better. If you do have seams, it is always nice to book-match the marble, so adjacent pieces have a mirrored appearance. Are you now convinced of the prowess of marble countertops? Give us call today at Hard Rock Imports. 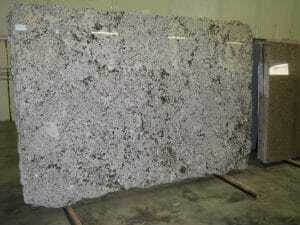 Not only do we offer premium-grade marble countertops, we also sell them at affordable prices. Call us for a no cost, no obligation design estimate! PreviousPrevious post:Stuck With Granite? Try These 3 Alternatives to Granite CountertopsNextNext post:What Makes Blue Pearl Granite Countertops a Great Steal?